Need some prison time?? 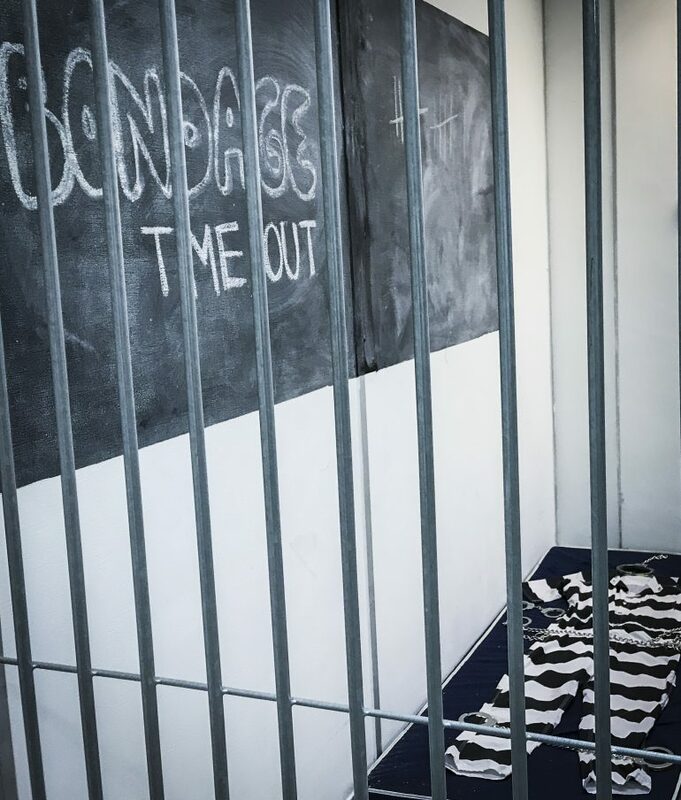 Our prison cell is waiting for you! Our lovely female guard will lock you in handcuffs and ankle cuffs, and tell you to leave your shoes and personal belongings behind. You will remain cuffed for the entire experience. There will be no release before your time is up. We have jumpsuits (orange and striped), and hundreds of restraints to make your stay very exciting! We have real prison belly chain handcuffs, high security blue boxes (handcuff covers), genuine hand tubes, lots of waist chains, handcuffs, and leg irons. At a minimum, you will be handcuffed and ankle cuffed. More restraints can be added for the more experienced restraints fan. You will be locked in our prison cell and you will stay there until your time is up. You will not be released even if you beg the guard. A safe word will be provided for emergencies, of course. Our guard loves to ‘hogcuff’ her prisoners. This is not easy, but it is a very exciting way to spend your prison time. Your handcuffs will be attached to your ankle cuffs and you will have to lie down on your belly for the duration of your stay. Any special wishes can be discussed beforehand, we will do our best to make your prison time the best experience ever! More information and pricing here.